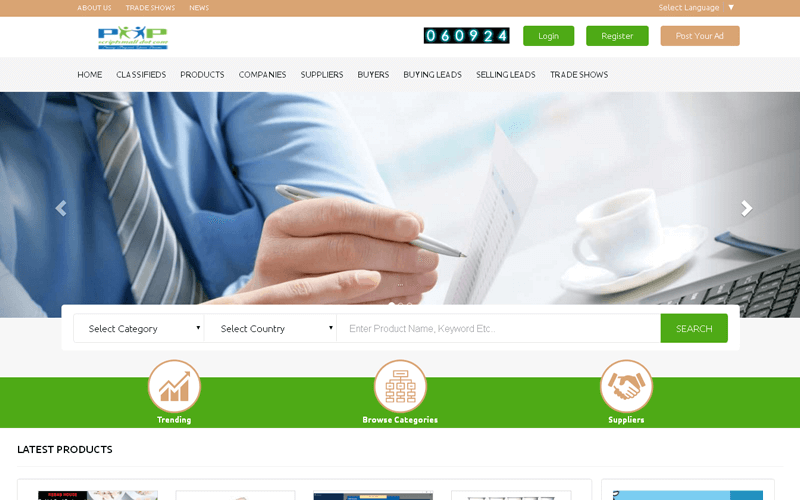 As B2B marketplace platform originate in which business commerce transaction between each other, it involves transaction from manufacture and wholesaler or wholesaler and retailer. We are the leading business to business marketplace website builder serving potential solution to the commercial requirements. We have covered all possibilities of earning process through script if you looking forward to venturing the b2b ecommerce website then choose our website script to launch website straightaway. Arise of ecommerce services as nationwide or setup with the global community. Venturing ecommerce wholesale platform with enterprise capability made easier. Once the user signup with the site, they will access user-friendly navigation. A search query filter enables results through category, country, product name & keyword, search by members name, feature product and price. Members will see product details with posted date and location details with product images if the user desire to buy the services they can have inquiry option to get details. On navigating through the website one can switch the language option and site will change them as per the language. Interested user can register for newsletter subscription to get official updates from vendors and admin. As B2b Lead Generation Script, vendors have ultimate platform to showcase their services and goods, the merchant can have their profile. Admin will manage the vendor profile either accept or deny the vendor request. Based on the business concept upgrade with right membership plan through the secure payment gateway. Through the respective dashboard manage to buy and selling leads as well as one can communicate through an internal mailing system. Trade shows list out the available shows of the company with start and end date, location and seat availability. Entire website control accessed by the admin dashboard even if you were not tech giant the maintenance made pretty easier since code developed by the full stack developer crew. In Entrepreneur B2B Script, with an accountability website owner manage registered user and merchants at a glance. Admin feature manages to buy leads, selling leads, product management, membership plan, trade show management, sub admin access, vendor profile, inquiry management, CMS, event category and general settings. Admin can set earning possibilities Google AdSense or through featured listings. B2B Marketplace Script has multiple revenue models like banner advertisements, sponsor ads, a commission from the vendors etc. Wholesale Ecommerce Platform Script is designed to be mobile responsive for all devices through bootstrap techniques which support cross-browser functionalities. By the way, our script is coded in accordance to the Google standards from the root which makes easy URL fetch in the major search engines. This script is absolutely fantastic but the main reason for my rating is technical support which is unparalleled. Recently I bought B2B script in PHP Scripts Mall. By far this is the BEST Script I have ever encountered from the script to the function, everything is just AMAZING. More importantly the extraordinary support… I wish I could give you script gazillion stars… words cannot describe how grateful I am to you and your team. Q I could not access admin demo. Please provide user and pw.